Recognize Holocaust Remembrance Month with this engaging and heartwarming autobiography of this tragic time in history. 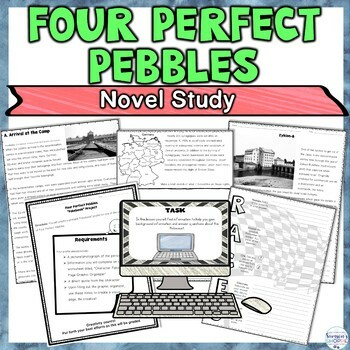 This teaching resource is a unit to complement the novel, Four Perfect Pebbles based on Marion Blumenthal Lazan's real-life experience as a little girl growing up during World War II. 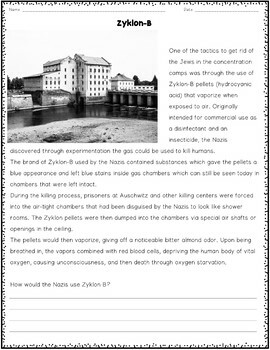 This Holocaust novel unit was used with grade 8 small group and inclusion students. Students thoroughly enjoyed reading the book and could not believe what the world let happen. I truly recommend this book to awaken your student's minds. 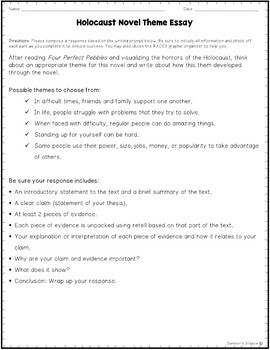 An answer key or rubric is also provided. ✓ This is a challenging novel to tackle with students. Your activities and questions are thoughtful, meaningful, and helped us grasp the importance of the topic. Thank you. ✓ Great resource with great nonfiction articles. ✓ Marion Blumenthal Lazan spoke at our school. The school purchased several sets of her novel, and my students were lucky enough to read it. This was a great resource to help them in understanding her story. ✓ Looking forward to using this resource with my students. Thank you! ✓ I had the honor of hearing Marion speak to our school a few years back. 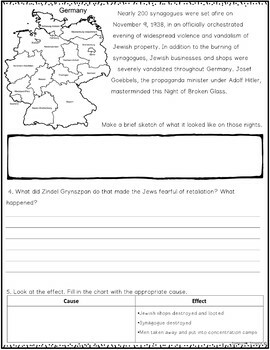 Since then, I have made this novel one of the lit circle choices during our WWII/Anne Frank unit. ✓ Love...Love..Love! Resources are awesome, guides well organized, additional resources make this interesting for students.